No, you’re not in the Twilight Zone: That really was Hillary Clinton’s 2016 campaign chairman and former White House Chief of Staff John Podesta on Ancient Aliens Friday night. 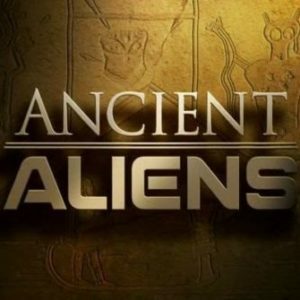 This weekend Ancient Aliens kicked off its 13th season with a review of efforts to get the federal government to release its treasure trove of documents and data on what really happened at Roswell, Area 51, etc. But are we ready? “Secretary Clinton was also interested in the topic” of releasing UFO documentation and was very open about that fact “if elected, she would have ordered a more thorough declassification review,” Podesta says. The truth it out there. On cable TV. And it stars John Podesta.